3 Guitar Chord Progressions That You MUST Know | Zing! There are a lot of guitar chord progressions that makes songs instantly recognizable. These progressions usually have four or fewer chords, and the chords are often simple triads – aka major or minor chords. 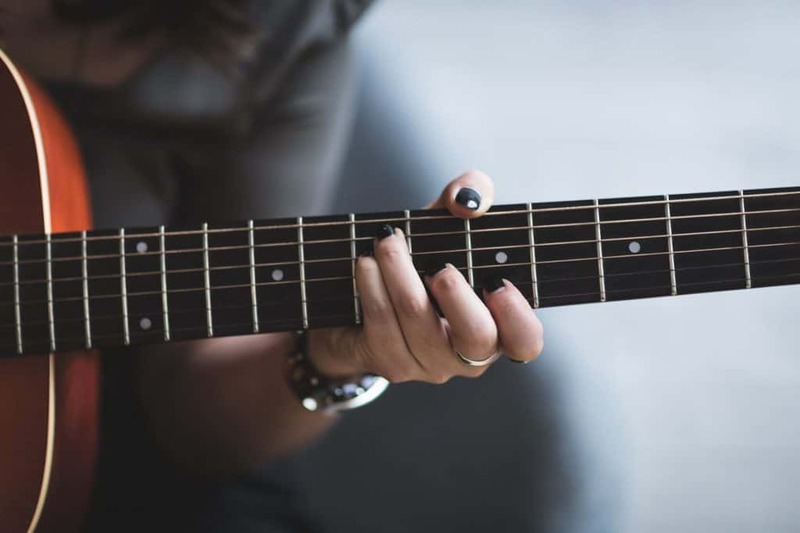 The common chord progressions which make up a lot of popular songs are also often easily playable using open chords, which you can transpose using a capo if necessary. Here we will take a quick look at what exactly chord progressions are, and then provide you with a few that you can try out yourself. You can use these to play along to the songs you know and love or adapt them to create your own. Why Do Some Chords Sound Good Together? The chords you play always have relationships with one another. These are measured by the distance in tone between the root notes of each chord. So, for example, if you play a C chord you might want to then play its fourth, as this is a popular, pleasant sounding movement. Which chord will that be then? So, let’s pretend we’re in a different key, F, and we want to go to the fourth. There it is! Bb. You might be wondering why it’s flat. It’s nothing to be alarmed about. Sometimes your tonic chord will be in a key that isn’t C, meaning some chords will be sharps or flats. You can learn more about this using the circle of fifths. Of course, your movement from the first to the fourth is just the start of a progression. It might then go to the fifth, which you can work out in the same way, and then it may resolve on the first chord. This creates a perfect cadence. This order changes, combinations of first, fourths and fifths are reliably pleasing on the ear. 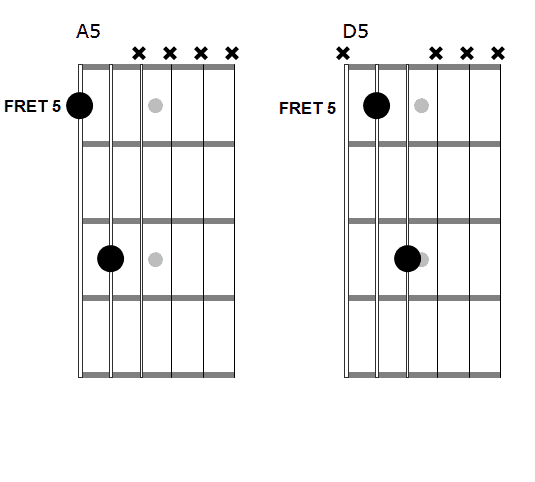 Minor 6ths are also common, as we’ll explore shortly when we look at common progressions. 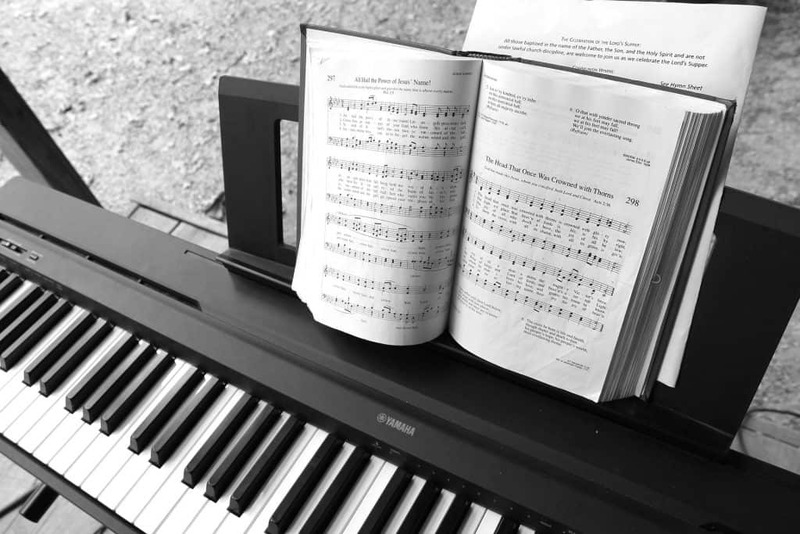 Another popular ending to a progression is going from the fourth to the tonic, which is called a plagal cadence or an ‘amen cadence’ (as it’s often heard in hymns!). In pop and rock music, our progressions are often very repetitive, so you might not think of them as having ‘cadences’ or endings as such. They’re more recurring loops! Before we have a look at some popular and effective formulas, we should familiarise ourselves with some of the conventions associated with naming and notating chords. One feature which is almost always a part of the notation of chord progressions is the use of Roman Numerals. 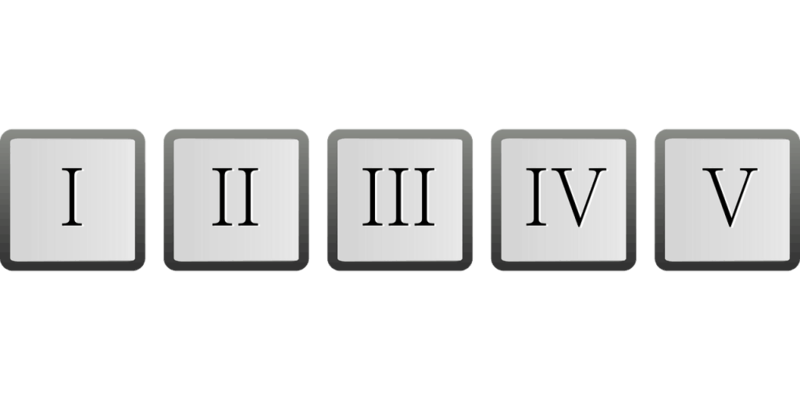 When transcribing chord progressions, many musicians choose to do so using Roman Numerals. 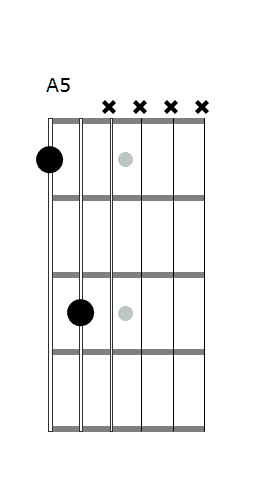 You often see it in 12 bar blues, which can be played in many keys. You also often see songs written in this way by their songwriters. Firstly, and most importantly, if a progression is written in numerals, rather than chord names, it is easy to pick the pattern up in whichever key suits your voice or your singer’s voice. Thinking mathematically about music and its intervals allows music students to analyze harmony and to recognize similarities and differences between pieces more easily. 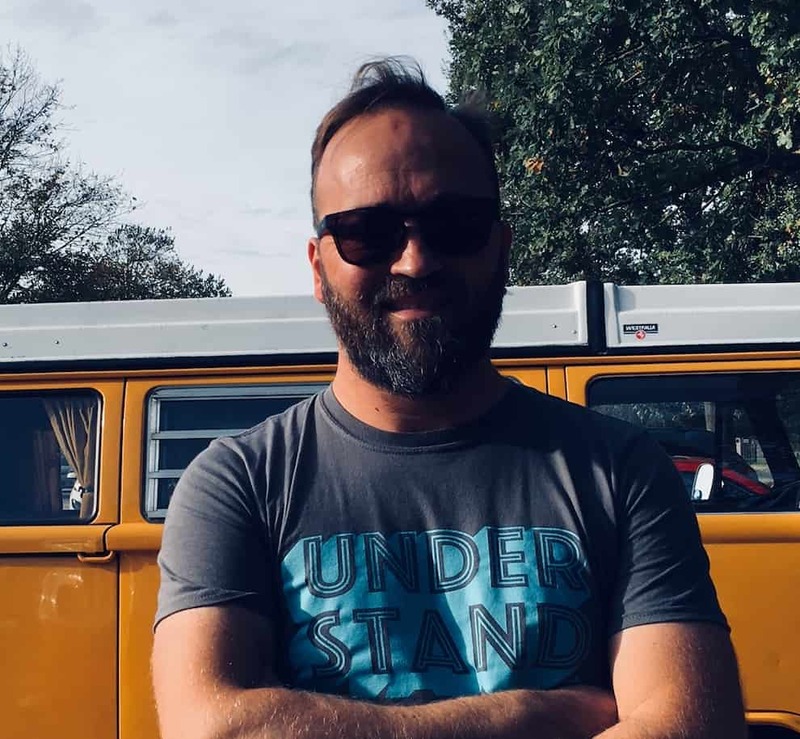 If you’re a beginner, you might already be getting a little muddled with what means what on the page. Sometimes numbers mean your fret number, sometimes they tell you which finger to use, and sometimes in guitar tabs, they even tell you how many times to play something. Roman Numerals stand out as signifying something different. Upper Case Numerals Or Lower Case Numerals? When you spot the numerals in lower case, it means that you have to play a minor chord. Can you work out what it would mean in the key of F? Upper Case M or Lower Case m? In exactly the same was as with the numerals system, when your chords are written as their names, a small ‘m’ indicates that you need to play a minor chord. Sometimes, you will also see a capital ‘M’, particularly when 7th chords or other embellishments are involved. This can confuse some people, as to begin with the ‘m’s you come across always mean ‘minor’! However, capital Ms always mean Major, so AM7 is not the same as Am7! So, now you know to read chord sheets. It’s time to look at some some simple chord progressions and songs which use them. This popular chord progression has been used in songs including ‘Wild Thing’ by The Troggs, ‘Get Off My Cloud’ by The Rolling Stones and ‘Great Balls Of Fire’ by Jerry Lee Lewis. A (I), D (IV), E (V), D (IV). Cool, isn’t it? 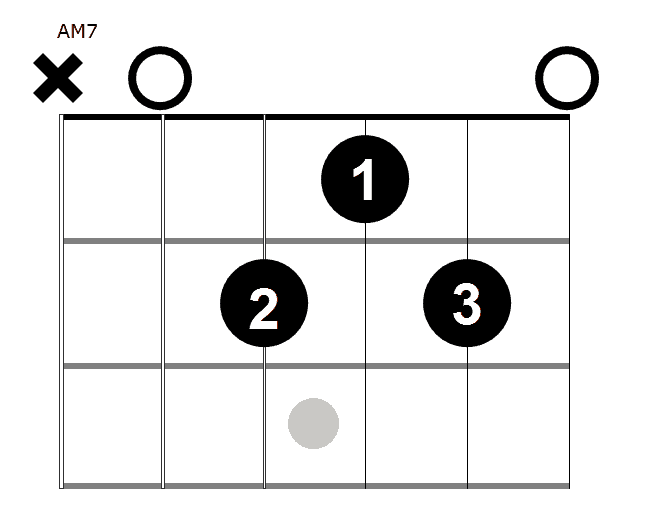 ‘Get Off My Cloud’ is the same: all major chords, but starting on E this time. Can we work out what the fifth / V will be? E, F, G, A, Bingo! ‘Great Balls Of Fire’ is a little bit different. Here, our tonic is C major, but our fourth and fifths become dominant 7 chords. C (I), F7 (IV), G7 (V), F7 (IV). In all three of these songs, the I IV V IV pattern is played in the verses. This is another popular progression, and it’s been used in songs including ‘No Woman, No Cry’ by Bob Marley, ‘Auld Lang Syne’ by Robert Burns and ‘Dirty Little Secret’ by The All-American Rejects. 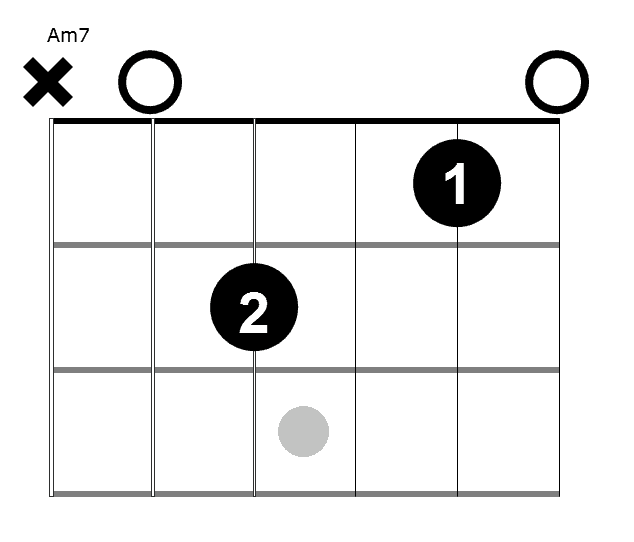 In the first two of these songs, the first chord is C, so let’s see if we can work out the rest of the pattern. C . . . G! Then, we have lower case numerals, so our iv will be minor: A minor! What will the IV be? C . . F! The vi, IV, I, V is a rearrangement of the last progression, and is even more commonly hear in popular music. This pattern has featured in ‘Self Esteem’ by The Offspring, ‘Save Tonight’ by Eagle Eye Cherry, ‘Love The Way You Lie’ by Eminem and Rhianna, and many more songs. In ‘Self Esteem’, it starts on Am, then goes to F, to C to G. ‘Save Tonight’ does exactly the same! In fact, so many songs do similar, that ‘Axis Of Awesome’ created a ‘four chord song’, where they mashed up a load of them together! Gm, Eb, Bb, F. It’s time to get the barre chords out! Or, you can opt for power chords, once you find the root notes of these chords. Find your way using the diagram below, remember, Eb is the same as D#. Sometimes, there’s no need to play full major or minor versions of chords: you can play 5th chords, AKA ‘power chords’. This can make transposing chord progressions even easier, once you know the patterns! 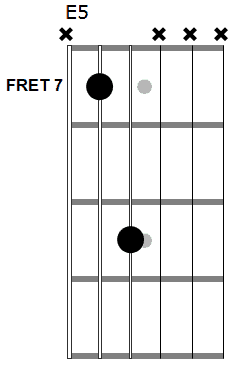 To go from a tonic (first) to a fourth, you stay on the same fret and jump down a string. So, if your power chord was on fret 5 on the E, making it an A5 chord, you jump down a string and voila: you’re on a D5 chord. You can move this anywhere you like on the fretboard! 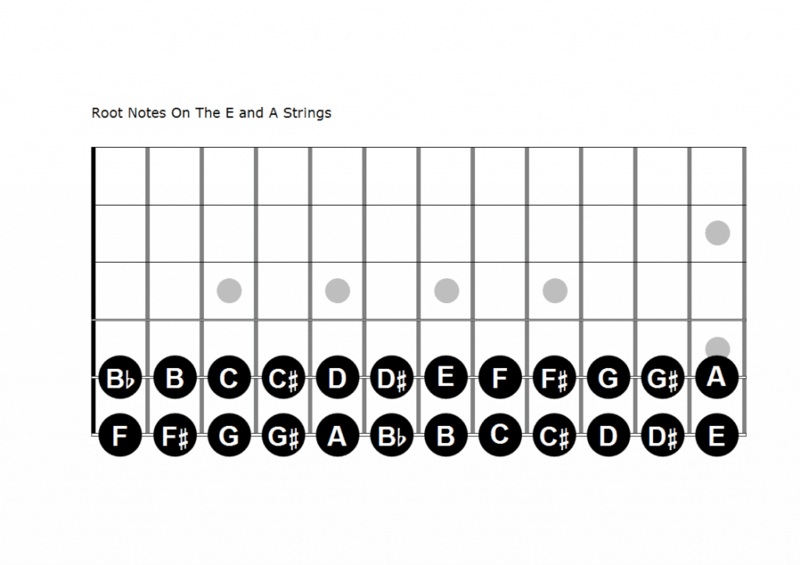 Use the root note finder at the end of the last section to know which chords you’re playing. We’ve included a handy chord progression chart here, so you don’t have to keep on counting using your fingers to work out what your fourths and fifths are! You’re welcome :). The chord progressions we’ve featured here are all popular for one good reason: they sound good. Whether you want to sit and think about the relationships between the chords, or just want to have fun and play these cool progressions, we know that an awareness and understanding of the patterns will open up doors for you and your playing. Chord progressions are generally thought about in relation to the tonic, and in our first two examples, the tonics have been major chords. In our third example, we started on the fifth, which is the tonic’s relative minor, and in a sad sounding song, this is also where the music resolves. Major and minor chords are symbolised using capital letters and lower case letters, and this is sometimes signified in Roman Numerals, and sometimes written as capital M or lower case m. Roman Numerals make a chord pattern more easily transposable, and also enable easier understanding of intervals and harmonic structures. However, using letters and specific chords can make it easier to learn a song exactly as it was written and is on the recording. tonic, jump down a string, move across two frets, move back again, repeat. Whatever your style is, chords are what gives your music substance.